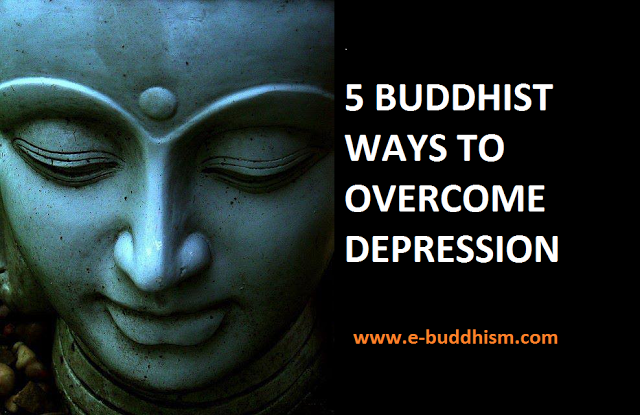 5 Buddhist Ways To Overcome Depression. * I will attempt to be peaceful in all of my interactions with others. * I will be a conduit of calm, serenity and happiness in all things that I do. * I will attempt to gain positive enlightenment from my day and learn from others. * I will accept people as loving, peaceful and accepting as I am and will not judge. * My past suffering does not have to hurt me any longer. * I feel the joys in my life much more strongly than any pain. * I only have today and I can make it anything and any way that I want it to be. * I truly love my children, and when they experience pain or joy, I feel it too. * The pain I feel from childhood has made me the empathetic person I am today. * Could you have been more patient, loving and kind in your interactions with others? * Were you authentic and truthful to yourself in all of your actions? * How might you be a more understanding and empathetic person to both yourself and others tomorrow? * What was wonderful and joyous about your day? * What are you grateful about? This article was republished from elephantjournal.com. You can find the original post here.